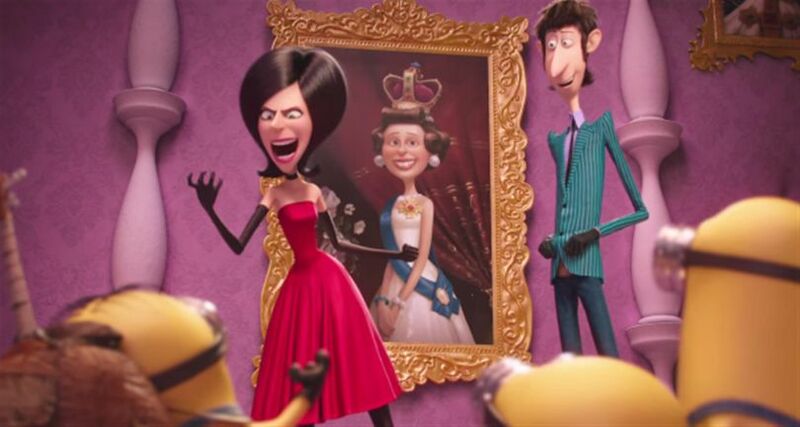 Sandra Bullock has joined Despicable Me‘s lovable, pill-shaped creatures the minions – as they take centre stage with their own movie spin-off, Minions. Seventeen years ago, Sandra Bullock starred in an animated movie, lending her voice to Moses’ sister Miriam in Disney’s Prince of Egypt. Sandra Bullock has an adopted son called Louis, who travelled with her to London ahead of the movie’s world premiere. She gushes that her 5-year-old son loves physical humor and animation, and because she loves to hear him laugh, joining Minions was a no-brainer. Minions is a spin-off prequel to Despicable Me and Despicable Me 2. The latter alone took $970.8 million at the worldwide box office. In Minions, it transpires the yellow creatures have actually been serving despicable masters since time began, from dinosaurs to vampires – but because of their accident-prone ways, they have been completely unsuccessful at keeping their jobs. Without a master to serve, they are driven into a depression, before one of the more proactive minions, Kevin, hatches a plan to find someone new to work for. Along with fellow minions Stuart and Bob, they head to a villain convention which leads them to their next potential master – Sandra Bullock’s Scarlet Overkill, the world’s first-ever female super-villain. Scarlet Overkill proves a contrast to Sandra Bullock’s usual roles, which have given her the reputation of America’s sweetheart. Pierre Coffin not only directs the film but also voices the entire minion population, including Kevin, Stuart and Bob. His “Minion-ese” – a mixture of languages including French, English, Italian and Spanish – is a huge part of the movie’s charm. Pierre Coffin and co-director Kyle Balda said they had a lot of fun directing their role call of guest stars including Jennifer Saunders, Steve Coogan, Michael Keaton and Mad Men star John Hamm – who Sandra Bullock describes as “delicious”. The appeal of the minions is apparently unbounded, with Universal already confirming Despicable Me 3 will be released in June 2017.